The controversy about “smart meters” continues to percolate in Ohio – with Governor Kasich’s office intervening Saturday to defend private property rights after an Ohio woman’s smart meter story went national. A rightful conclusion for resolute Ohio resident, Brenda Hawk. According to The Blaze, the northwest Ohio resident had her power shut off February 8 for refusing to allow American Electric Power (AEP-Ohio) to install a “smart meter” on her property after months long back and forth with her local power supplier over health concerns about radio signals from the “smart meter” adversely affecting her pacemaker. Hawk’s power was turned off during a cold spell, and against Ohio Revised Code 4933.12, leaving her without electricity for heat, water pump, or her overnight breathing machine. Two power company trucks, accompanied by a Sheriff, reportedly arrived at Hawk’s Allen County residence to replace her meter without consent. Hawk said that his response was shocking. Interestingly enough, one Allen County Sheriff, Sam Crish is one of four Lima area “local sheriffs who refuse to enforce the Obama gun control proposal”. The Allen County Sheriff is also a member of the Buckeye State Sheriff’s Association and has two members in the Constitutional Sheriffs. Brenda Hawk’s story came to light Friday afternoon during a phone conversation with Kathy Dirr, an Ohio activist on a mission – determined to get Brenda’s power reconnected, obtain legal expertise, and gain national media attention for the story. Kathy fielded multiple phone calls, coordinated efforts, and rallied help nationwide. “Glenn Beck’s people were absolutely amazing!” said Dirr. Note to self: If I’m ever up a creek without a paddle, and it’s coming in from all sides, I want Kathy in my canoe. Smart, compassionate, resourceful, well-connected, and determined – she gets its done. Mission accomplished. Brenda’s story was posted on The Blaze, YouTube and elsewhere with the help of Cheryl Blakely and others. The Governor’s office contacted the Blaze for further information, and hours later, power on. An Army of None. The leadership vacuum. Whatever the reason, the result was positive. Governor Kasich’s office got power restored for Brenda Hawk. And now the Governor has awareness of the “smart meter” problem. It’s a win-win. At the risk of stating the obvious, it is their job to get things done. That’s why Ohio taxpayers pay expensive salaries to elected and unelected public officials and bureaucrats. Who created this adversarial business climate in first place? Ironically, the Governor’s office chose to intervene in a private business relationship, between a consumer and corporation – for a product she was being forced to accept. Oddly antithetical to the Governor’s recent decision trampling Ohio’s Healthcare Freedom Amendment by expanding Medicaid in Ohio and further advancing Ohio toward implementation of Obamacare. 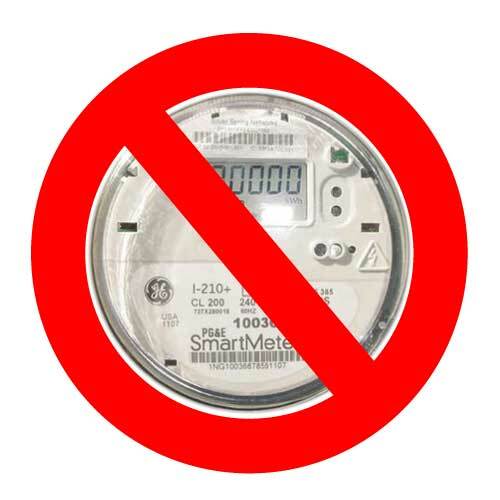 What outcome for other citizens who prefer to opt out of “smart meter” installation? Many are waging a similar solitary battle with PUCO and Duke Energy, at great personal cost of time and money. They are threatened with disconnection of service for refusal. Governor Kasich and Ohio legislators, where do you stand on this one? More importantly what will you do to prevent PUCO and utility companies from running amok and trampling constitutional rights to privacy and private property? 2014 is election year for state office holders. There is time for political hay to be made – for something to be done. It takes brains, heart, and courage. We can hope. Yeah right. On second thought, we might be up the creek. This entry was posted in Archives, State Politics and tagged Allen County, Brenda Hawk, Glenn Beck, John Kasich, Kathy Dirr, Ohio, Property rights, Smart meters. Bookmark the permalink.